If you're like most people who read this, you probably already know that I channel the messages and healing frequency of the Archangels. But what you might not yet know, is that Archangel Michael was the first Archangel I ever received a message from. And that making the connection with Archangel Michael made a drastic difference in my day to day life. I didn’t even know that this is what was happening to me at the time… I just felt terrible, physically and emotionally drained, and incredibly “off”. It felt like I had fallen into a deep dark hole with “no way out” … I sometimes wished I could just disappear. But then I met Archangel Michael in a meditation and everything started to change for me. Archangel Michael showed me how to protect myself psychically, and immediately I felt lighter. He guided me to forgive the shadow aspects within myself and how to block out the negative energies and toxic emotions of others that were triggering so many challenges in my life. In other words he taught me psychic protection, and learning this has had an incredible impact on my well-being, and really my entire life. I can now recognize and resolve any sort of psychic attack, I can shift my energy if I get weighed down, and I can at any time and at a moments notice invoke the help of Archangel Michael when I need to shift. 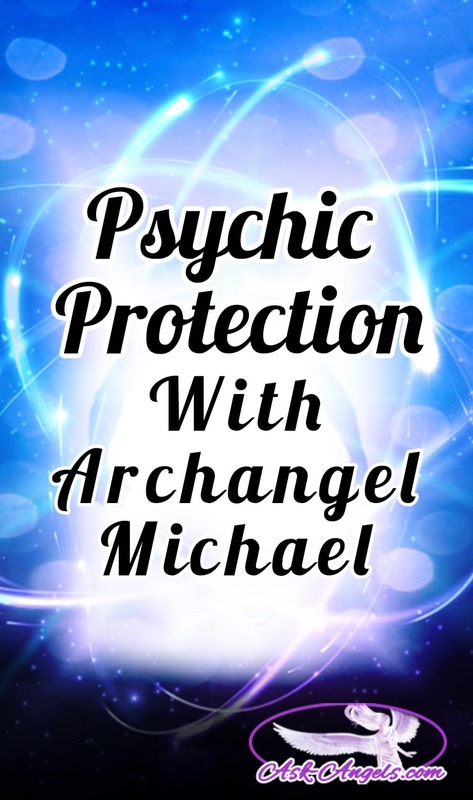 Click Here to Start the Psychic Protection Course with Archangel Michael Now! Because the thing is, if you're having a tough time in your life right now… It's not your fault! Let's face it… In the world today you cannot avoid encountering negativity. Like it or not, you live in a world of duality, which means you will come across negative experiences in your life just as you will have positive ones. The problem, is that negativity in any form can be damaging to your energy fields (aura and light body). Emotions like fear, anger, depression, the negative thoughts of other people, getting into arguments, other not so pleasant experiences, and even certain low vibrational places can actually cause dense energy to cling to your aura. As you can probably imagine, negativity build up in your energy field or home can cause all kinds of problems. Energetic cords are another phenomena that can drain your energy, as people consciously or unconsciously latch onto you energetically. Earthbound attachments (ghosts) and entity possession are also very real and can be unpleasant experiences that you can easily avoid by learning and practicing psychic protection. 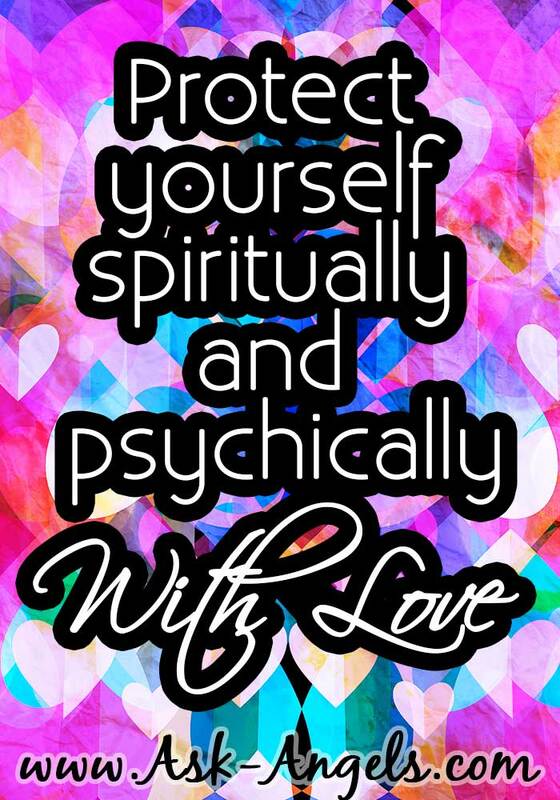 Psychic Protection, otherwise known as Spiritual Self Defense, is the process of clearing your energy and protecting yourself on an energetic level. 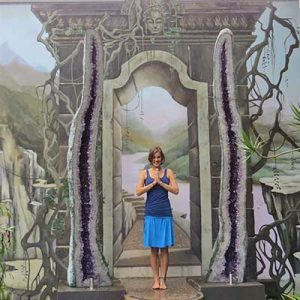 Psychic Protection is an essential component of spiritual development… And something you must master to really progress on your spiritual path and step into the full light of your authentic self. But the good news is, you have incredible support in learning to protect yourself, from Archangel Michael himself! And so, I'm excited to share with you the recently updated and now better than ever before Psychic Protection Angel Course with Archangel Michael. In this course you will not only learn multiple techniques to protect yourself spiritually and psychically, but you will also have instant access to 6 .MP3 audio sessions that you can listen to for a cleansing experience at any time you feel like you need help letting go of negativity or positively shifting your energy. When you purchase the Psychic Protection Course you will gain instant access to the following course components, all channeled with Archangel Michael. The power in these being channeled sessions, is that they carry the vibrational energy of Archangel Michael… This means that your listening to them actually invokes Archangel Michael so you can start benefiting from his powerful guidance, love, and protection. As you listen to each of the .MP3 Angel Course components you will learn valuable and practical techniques to ground, clear, and shield your energy, and to restore yourself so that you can live your authentic truth, vibrantly, and centered in love. You will learn to protect yourself energetically from taking on the energies of others, and from being adversely affected by thoughts, emotions, and energies which are not even yours. By practicing psychic protection you will be able to maintain a higher personal vibration that will help you to manifest more of what you desire. From health and wellness, to love and abundance, maintaining a high personal vibration is key to all manifestation. The benefits you will receive from putting into practice what you learn in this course can improve your life more than you may even be able to imagine right now. Regardless of where you are on your path of awakening and spiritual development, you will benefit from learning and implementing psychic protection techniques! This course is incredibly powerful, right from the first session you listen to. You'll then be able to continue listening to the sessions to receive even more angelic guidance, protection, and powerful energetic shifts. If you're still unsure if this Psychic Protection course is for you, I want you to know that I'm offering it with a 30 day 100% risk free money back guarantee. If you go through the course and you aren't 100% satisfied, you can simply email me (support (at) ask-angels.com) and request a full refund. P.S. Curious what others have said about this course? “Thank you Melanie and Archangel Michael with all my being! comforted by love of the divine. Thanks again for the amazing work. HI Mélanie you are a gift that God sent to me and for this I will be thankful all my life. I have been reading cards for a few months now. I am testing the powers that be and the waters. Patience isn’t my strong point. But the messages are coming in clearer from Saint – Germain Paul the Venetian and Epona today. 06.30.15- It is helping me understand my dreams and desires for the future. I see a good one with a lot of plans. I worry about my health mostly these days. I hope to take some card reading courses in the future. The spirits are not always strong enough for me to hear them. Hopefully with more yoga and healthy choices I will get better at reading them. Some thing tells me good things are to come. I see him in my dreams. But I am not sure he’s the one. He seems more like a teacher to me. He could be an admirer. Some of my dreams are expensive and dangerous messages. I have a adventurous dream every so often. We need more card readers out there like you. Peace and thank you. I you have a message for me it would be entertaining. I see him again every time I see Saint Germain I will remember him. We all have 94% of dark matter in our life. How do we clear it to get to the light? Other than kneeling and praying. Your loved out there Angel. I need help clearing my energy. I am very depressed and suicidial. My bf broke up with me and I know he is my soulmate. I love him and miss him so much. I am trying to improve my spiritual closeness to Jesus, my mind has given me trouble with emotions and depression and PTSD from Viet Nam. I lost my soulmate/wife Feb 2014, the grief has a huge block in my spiritual well being. I welcome you and god to help me but have difficulty really feeling it when it comes. I want to try some of your resources but need the ability to use the mail and Money orders along with a list of progressive aids. I fear that I have a massive Negative energy inside me that I need to remove permanently with your help. I need a very strong powerful help to do that and replace the negative with positive and may find myself much clearer than now. Hi Melanie I love your work and may you be bless. I’m unemployed and broke. I would love to buy this course because I need all the help. I’m caring for my 81yr old Mom she’s got Dementia. With no help from family, only her social grant. Its so little, but we eat everyday. For that I’m very grateful. You’re a Godsend. Coz I’m so depress lately, I’m praying every minute of the day. Thank you so much for helping me in this. I am ever spiritual but I would like to work with you to help my family and friends if i can Thank you and god bless. Please arch angel Michael protect my health bless me with wealth positive energy a good partner joy peace in my heart and motivation to do things to move forward. Keep all evil negativity away and keep me safe from danger jealousy harm and lies. You are an angel for me … I got to learn so much from your page you provide so much information for free for that other people ask tons of money … If I buy your course that it worth ..
i want the course, i need the course, but no money can come out of my pocket now.